Ishibuchi, Fuzzy Neural Networks and their Applications. Chak, Feng, and Palaniswami, Implementation of Fuzzy Systems. Aiello, Burattini, and Tamburrini, Neural Networks and Rule-Based Systems. Fletcher andHinde, Construction of Rule Based Intelligent Systems. Pal and Mitra, Expert Systems in Soft Computing Paradigm. Watanabe and Tzafestas, Mean-Value-Based Functional Reasoning Techniques in the Development of Fuzzy-Neural Network Control Systems. Chen and Teng, Fuzzy Neural Network Systems in Model Reference Control Systems. Juditsky, Zhang, Delyon, Glorennec, and Benveniste, Wavelets in Identification. 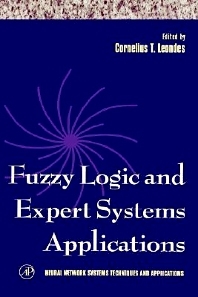 This volume covers the integration of fuzzy logic and expert systems. A vital resource in the field, it includes techniques for applying fuzzy systems to neural networks for modeling and control, systematic design procedures for realizing fuzzy neural systems, techniques for the design of rule-based expert systems using the massively parallel processing capabilities of neural networks, the transformation of neural systems into rule-based expert systems, the characteristics and relative merits of integrating fuzzy sets, neural networks, genetic algorithms, and rough sets, and applications to system identification and control as well as nonparametric, nonlinear estimation. Practitioners, researchers, and students in industrial, manufacturing, electrical, and mechanical engineering, as well as computer scientists and engineers will appreciate this reference source to diverse application methodologies. Practitioners, research workers, academicians, and students in mechanical, electrical, industrial, and manufacturing engineering, as well as production engineers, computer scientists and engineers.